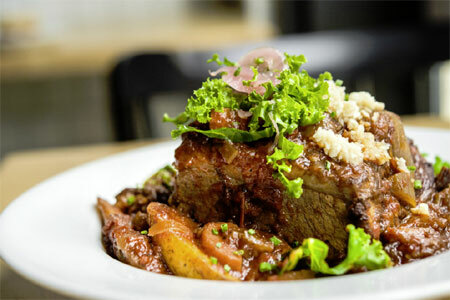 Farm-to-table fare on the Upper East Side from chef Jean-Georges Vongerichten. 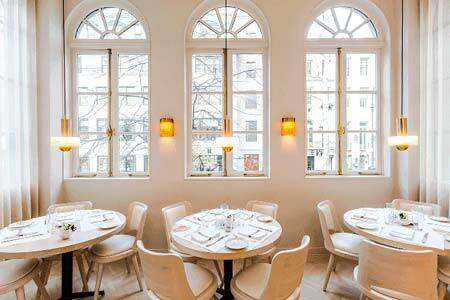 About the restaurant: JoJo on the Upper East Side was the first restaurant in chef Jean-Georges Vongerichten's culinary empire (which includes his flagship Jean-Georges). As his many fans know, the Alsace native is a master of cooking with Asian spices, infused oils, vegetable juices and exotic vinaigrettes. Using a minimum of butter, cream and flour, he creates vivid dishes. After more than a year of renovations, JoJo features a fresh, lighter look with blonde wood and a turquoise rug. Food & Drinks: The menu has also transitioned from French fusion to more of a farm-to-table focus, though daily specials still highlight classic dishes such as foie gras and green peppercorn terrine, haricots verts and lemon zest salad; seared scallops, parsnip, passion fruit and brown butter; and steamed black sea bass, carrot confit with cumin and orange. Desserts offer comfort food like warm chocolate cake, apple pie and butterscotch pudding. The wine list highlights offerings from France to New Zealand to South Africa.